No code completion! It’s almost as useful as coding in Notepad, isn’t it? This is one of the major quirks of the boto3 sdk. Due to its dynamic nature, we don’t get code completion like for other libraries like we are used to. I used to deal with this by going back and forth with the boto3 docs. However, this impacted my productivity by interrupting my flow all the time. I had recently adopted Python as my primary language and had second thoughts on whether it was the right tool to automate my AWS stuff. Eventually, I even became sick of all the back-and-forth. A couple of weeks ago, I thought enough was enough. I decided to solve the code completion problem so that I never have to worry about it anymore. How would I find time to support all the APIs that the community and I want? Will this work be beneficial to people not using the X IDE? With 12 releases of boto3 in the last 15 days, will this become a full time job to continuously update my solution? In this post I will describe botostubs, a package that gives you code completion for boto3, all methods in all APIs. It even automatically supports any new boto3 releases. Read on to learn a couple of less-used facilities in boto3 that made this project possible. You will also learn how I automated myself out of the job of maintaining botostubs by leveraging a simple deployment pipeline on AWS that costs about $0.05 per month to run. The parameters in boto3 are dynamic too so what about them? Much more useful, right? No more back-and-forth with the boto3 docs, yay! The above is for Intellij/PyCharm but will this work in other IDEs? Looks like it works! You should be able to use botostubs in any IDE that supports code completion from python packages. Why is this an issue in the first place? The SDK maintainers do it to be able to enhance the SDK reliably and faster. This is great for the maintainers but terrible for us, the end users of the SDK. Therefore, we need statically defined classes and methods. Since boto3 doesn’t work that way, we need a separate solution. At a high level, we need a way to discover all the available APIs, find out about the method signatures and package them up as classes in a module. I didn’t know much about boto3 internals before so I had to do some digging on how to accomplish that. You can use what I’ve learnt here if you’re interested in building tools on top of boto3. But for our situation, we don’t know which ones are there in advance. I could have hardcoded them but I need a scalable and foolproof way. I found out that the way to do that is with a session’s get_available_services() facility. Tip: Much of what I’ve learnt have been though Intellij’s debugger. Very handy especially when having to deal with dynamic code. Steps 1 and 2 solved. Next, I had to find out which operations are possible in a scalable fashion. For example, the S3 API supports about 98 operations for listing objects, uploading and downloading them. Coding 98 operations is no fun, so I’m forced to get creative. Digging deeper, I found out that clients have an internal botocore’s service model that had everything that I was looking for. Through the service model you can find the service documentation, api version, etc. Side note: botocore is a factored out library that is shared with the AWS CLI. Much of what boto3 is capable is actually powered by botocore. Then it was a matter of generating classes based on the clients and operations above and package them in a Python module. For any version of boto, I had to run my script, run the twine PyPI utility and it will output a PyPI package that’s up to date with upstream boto3. All of that took about 100 lines of Python code. Another problem remained to be solved though; with a new boto3 release every time you change your t-shirt, I would need to run it and re-upload to PyPI several times a week. So, wouldn’t this become a maintenance hassle for me? To solve this problem, I looked to AWS itself. The simplest way I found out was to use their build tool and invoke it on a schedule. What I want is a way to get the latest boto3 version, run the script and upload the artefact to PyPI. All without my intervention. The image above describes the CloudFormation template used to deploy on Github as well as the code. To keep my credentials outside of source control, I also attached a service role to give CodeBuild permissions to write logs and read my PyPI username and password from the Systems Manager parameter store. For intricate details, check out the buildspec.yml and the project definition. The build event and notification. The SNS Topic with an email subscription. That’s it! But what about my AWS bill? My estimate is that it should be around $0.05 every month. Besides, it will definitely not break the bank, so I’m pretty satisfied with it! Imagine how much it would cost to maintain a build server on your own to accomplish all of that. What’s with the weird versioning? It currently follows boto3 releases in the format 0.4.x.y.z. Therefore, if botostubs is currently at 0.4.1.9.61, then it means that it will offer whatever is available in boto3 version 1.9.61. I included the boto version in mine to make it more obvious what version of boto3 that botostubs was generated from but also because PyPI does not allow uploads at the same version number. Run it and let me know if you have any advice on how to make this better. Huge thanks goes to another project called pyboto3 for the original idea. The issues that I had with it was that it was unmaintained and supported legacy Python only. I wouldn’t have known that this would be possible were it not for pyboto3. botostubs is an open source project, so feel free to send your pull requests. 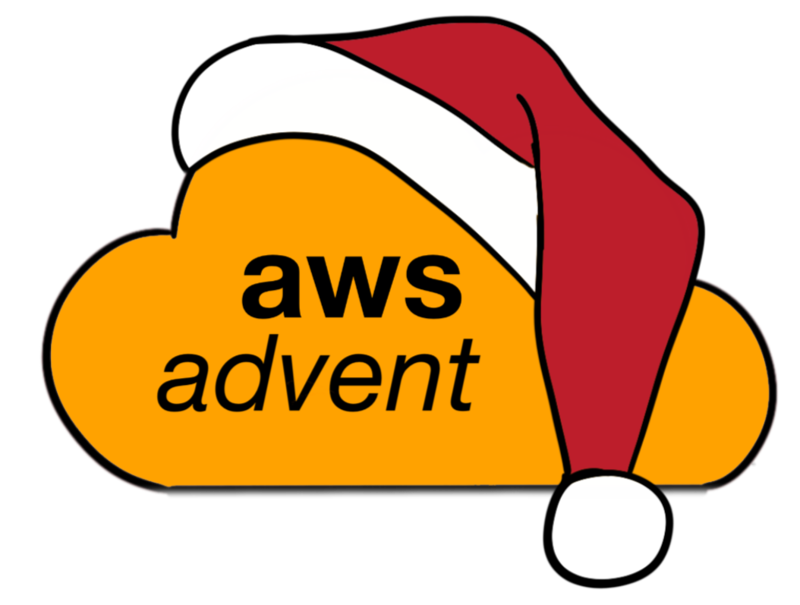 I hope you are inspired to find solutions for AWS challenges that are not straightforward and share them with the community. If you used what you’ve learnt above to build something new, let me know, I’d love to take a look! Tweet me @jeshan25. Jeshan Babooa is an independent software developer from Mauritius. He is passionate about all things infra automation on AWS especially with tools like Cloudformation and Lambda. He is the guy behind LambdaTV, a youtube channel dedicated to teaching serverless on AWS. You can reach him on Twitter @jeshan25. As software engineers, we try our best to make sure that the solution we build is reliable and robust. Monitoring the production environment with reasonable alerts and timely actions to mitigate and resolve any issues are pieces of the puzzle required to make our customers happy. Monitoring can produce a lot of data – CPU, memory, and disk IO are the most commonly collected for hardware infrastructure, however, in most cases, you never know what the anomaly is, so the data is not labeled. We decided to take a common problem – anomaly detection within a time series data of CPU utilization and explore how to identify it using unsupervised learning. A dataset we use is the Numenta Anomaly Benchmark (NAB). It is labeled, and we will use labels for calculating scores and the validation set. There are plenty of well-known algorithms that can be applied for anomaly detection – K-nearest neighbor, one-class SVM, and Kalman filters to name a few. However, most of them do not shine in the time series domain. According to many studies  , long short-term memory (LSTM) neural network should work well for these types of problems. TensorFlow is currently the trend leader in deep learning, however, at Lohika we have pretty good experience with another solid deep-learning framework, Apache MXNet. We like it because it is light, scalable, portable and well-documented, and it is also Amazon’s preferred choice for their deep-learning framework at AWS. The neural network that we are going to implement is called autoencoder. The autoencoder is a type of neural network that calculates the approximation of the input function by transforming the input data to the intermediate state and then matching it against the number of input features. When training autoencoders the idea is to minimize some metric dependent on input and output values. We use MSE for the case. To compare the performance of different network designs and hyperparameters we use F1 score. F1 score conveys the balance between the precision and the recall and is commonly used for binary classification. The goal for this task is to detect all known anomalies on the test set and get the maximum F1 score. For the implementation, we use Python and a few libraries that are very handy – pandas for dataset manipulation, scikit-learn for data pre-processing and metrics calculations, and matplotlib for visualization. The NAB dataset contains a lot of labeled real and artificial data that can be used for anomaly detection algorithm evaluation. We used actual CPU utilization data of some AWS RDS instances for our study. The dataset contains 2 files of records with the values taken every 5 minutes for a period of 14 days, 4032 entities for each file. We used one file for training and another for test purposes. Deep learning requires large amounts of data for real-world applications. But smaller datasets are acceptable for basic study, especially since model training doesn’t take much time. As we can see, it contains a timestamp, a CPU utilization value, and labels noting if this value is an anomaly. There is one thing that played an important role in dataset preparation – masking of labeled anomalies. We started with training our LSTM neural network on the initial dataset. This resulted in our model being able to predict, at best, one anomaly out of the 2 labeled in the test dataset. Then, after taking into account that we have a small dataset with limited anomalies, we decided to test if training on a dataset that contains no anomalies would improve results? We took the approach of masking the anomalies in the original dataset – just put previous non-anomalous value instead of anomalies. After training the model on the dataset with masked anomalies, we were able to get both anomalies predicted. However, this was at the expense of an additional false positive prediction. Nevertheless, the F1 score is higher for the second case, so the final implementation should take into account the preferred solution. In practice it can have a significant impact – depending on your case, both missing an anomaly or having a false positive prediction can be quite expensive. The next step is scaling the dataset values. This is highly important. We use scikit-learn StandardScaler to scale the input data and pandas to select features from the dataset. The only feature we use is the CPU utilization value. We tried extracting some additional time-based features to increase the output performance – for example, a weekday or a day/night feature -however, we didn’t find any useful patterns this way. We did a few experiments with the neural network architecture and hyperparameters, and the LSTM layer followed by one Dense layer with ‘tanh’ activation function worked best in our case. You can check the comparison table with corresponding F1 scores at the end of the article. ‘L2Loss’ is chosen as a loss function, because the trained the neural network is autoencoder, so we need to calculate the difference between the input and the output values. We will calculate MSE after each training epoch of our model to visualize this process. You can find the whole list of other available loss functions here. Batch size value is important. Small batches increase training time. By experimenting with batch size, we found that 48 works well. The training process lasts a short amount of time, and the batch is not too big to decrease the F1 score. As far as we know, the sample rate of data values is 5 minutes, so 48 value batches are equal to a period of 4 hours. We use Xavier weights initializer as it is designed to keep the scale of gradients roughly the same in all layers. We use ‘sgd’ optimizer, and the learning rate is 0,01. These values look optimal in this case – steps aren’t too small for SGD, optimization doesn’t take too long, and it’s not too big. So it doesn’t overshoot the minimum of the loss function. As you can see from this plot, 15 training epochs are spot-on for the training process as we don’t want to get an undertrained or overtrained neural network. When using autoencoder for each pair of (input value, predicted output value), we have a reconstruction error. We can find a reconstruction error for the training dataset. Then we say the input value is anomalous in case the reconstruction error deviates quite far from the value for the whole training dataset. Using the 3-sigma approach works fine for this case – if the reconstruction error is higher than the third standard deviation it will be marked as an anomaly. Let’s see the results for the model and visualize predicted anomalies. Taking into account the size of available dataset and time spent on coding, this is a pretty good result. According to the NAB whitepaper dataset scoring, you get +1 point for a TP, and -0,22 point for an FP. The final score is then normalized in the range of 0 to 100. Taking our simple solution that predicted 2 TPs and 1 FP, we get 1,78 points out of 2. When scaled, this corresponds to the score of 89. Comparing this result to the NAB scoreboard, this is a pretty strong result. However, we cannot compare our score to it. The key difference in that NAB evaluates the algorithm performance on a large number of datasets and does not take into account the nature of the data. We have built a model for the only one anomaly prediction case. So this is not an apples-to-apples comparison. The final F1 score is 0,8. That’s not an ideal value, but it’s good enough as a starting point for prediction and analysis of possible anomalous cases in the system. In this article, we have discussed a simple solution for handling anomaly detection in time series data. We have passed through standard steps of a data science process – preparing the dataset, choosing a model, training, evaluation, hyperparameter tuning and prediction. In our case, training the model on a pre-processed dataset that has no anomalies made a great impact on the F1 score. As a result, we trained the model which works quite well, given the amount of input data and effort spent. As you can see, MXNet provides an easy to use and well-documented API to work with such a complex neural network. Code from this article is available at GitHub. In this section, we have collected the results of the experiments we performed during network design and hyperparameter tuning. The experiments are listed in chronological order and on every experiment we changed just a single parameter at a time. So any possible correlation between any parameters is not taken into account. The parameters that worked best are marked in green. Denys is a senior software engineer at Lohika. Passionate about web development, well-designed architecture, data collecting, and processing. Serhiy is a solutions architect and technical consultant at Lohika. He likes sharing his experience in the development of distributed applications, microservices architectures, and large-scale data processing solutions in different domains. The scope of the current article is to demonstrate multiple approaches to solve a seemingly simple problem of intra-S3 file transfers – using pure Python and a hybrid approach of Python and cloud based constructs, specifically AWS Lambda, with a comparison of the two concurrency approaches. The problem was to transfer 250 objects daily, each of size 600-800 MB, from one S3 bucket to another. In addition, an initial bulk backup of 1500 objects (6 months of data) had to be taken, totaling 1 TB. This had a runtime of 1 hour 45 minutes. Oops. Lets use some threads ! asyncio, based on event loops and asynchronous I/O. concurrent.futures, which provides high level abstractions like ThreadPoolExecutor and ProcessPoolExecutor. threading, which provides low level abstractions to build your own solution using threads, semaphores and locks. multiprocessing, which is similar to threading, but for processes. I used the concurrent.futures module, specifically the ThreadPoolExecutor, which seems to be a good fit for I/O tasks. Python implements a GIL (Global Interpreter Lock) which limits only a single thread to run at a time, inside a single Python interpreter. This is not a limitation for an I/O intensive task, such as the one being discussed in this article. For more details about how it works, see http://www.dabeaz.com/GIL/. This code took 1 minute 40 seconds to execute, woo ! I was happy with this implementation, until, at an AWS meetup, there was a discussion about using AWS Lambda and SNS for the same thing, and I thought of trying that out. AWS Lambda is a compute service that lets you run code without provisioning or managing servers. It can be combined with AWS SNS, which is a message push notification service which can deliver and fan-out messages to several services, including E-Mail, HTTP and Lambda, which as allows the decoupling of components. To use Lambda and SNS for this problem, a simple pipeline was devised: One Lambda function publishes object names as messages to SNS and another Lambda function is subscribed to SNS for copying the objects. The following piece of code publishes names of objects to copy to an SNS topic. Note the use of threads to make this faster. Yep, that’s all the code. Now, you maybe asking yourself, how is the copy operation actually concurrent ? By default, this is limited to 100 concurrent executions, but can be raised on request. The execution time for the above code was 2 minutes 40 seconds. This is higher than the pure Python approach, partly because the invocations were throttled by AWS. I hope you enjoyed reading this article, and if you are an AWS or Python user, hopefully this example will be useful for your own projects. Note – I gave this as a talk at PyUnconf ’16 in Hamburg, you can see the slides at https://speakerdeck.com/alcy/exploring-concurrency-in-python-and-aws. Mohit Chawla is a systems engineer, living in Hamburg. He has contributed to open source projects over the last seven years, and has a few projects of his own. Apart from systems engineering, he has a strong interest in data visualization.